Mike is a graduate from Curtin University School of Physiotherapy (2003) and is currently studying a Masters of Science Rehabilitation. Mike was only the second physiotherapist in Australia to have dual qualifications as a physiotherapist and podiatrist having graduated from the West Australian Institute of Technology School of Podiatry in 1984. He has worked in a variety of private practices over the last 13 years, treating patients of all ages. He has provided sports physiotherapy to all levels from recreational athletes to state league netball, WAFL football and in 2009 was the sports physiotherapist for the Great Britain Wheelchair Basketball team. 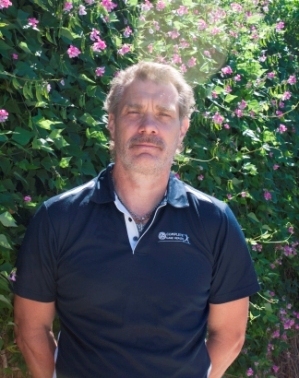 His clinical interests are in functional rehabilitation, lower limb and shoulder management along with a integrated manual therapy and exercise approach to back and neck dysfunction. He also uses dry needling as required. Outside of work Mike likes to keep fit by doing obstacle courses and going to the gym and enjoys comic books. Call or email today to make an appointment with our physiotherapists in Perth.